“Do not be overcome by evil, but overcome evil with good.” Romans 12:21, (NIV). I have been around evangelical Christians for most of my life. In this community, particularly for those who are marginalized and disenfranchised, God is often viewed as a protector, a champion for the saints in the midst of evil. Scriptures such as 2 Thessalonians 3:3 and Psalm 59:1 underscore that point. To many of us who know and serve God, there is an expectation that God will keep us safe and will not let evil fall nigh our doorsteps. While mass murder was being committed at nightclubs, schools, and concert venues, some pastors and churches likely thought themselves exempt. They figured that a shooting of that type happening in a church was unlikely. Therefore, it is difficult to come to grips with what happened in Sutherland Springs, Texas. On November 5, 2017, an unspeakable act of violence struck the First Baptist Church of Sutherland. In what was billed as the deadliest mass shooting in Texas history and the worst mass shooting at a house of worship in modern American history, a man, wielding a semi-automatic rifle, walked into the First Baptist Church during morning worship and shot 46 people. Twenty-six, including 14 children, were killed. Twenty others were injured. Just a little more than a month before, a deranged gunman shot and killed 58 people and left 546 injured at a concert in Las Vegas. This shooting eclipsed the death toll of the Pulse nightclub shooting in Orlando, Florida. In this shooting, 48 people were killed on June 12, 2016. When these types of things happen, it is a natural human inclination to want to make sense out of them. Why did they happen? What went wrong? What could we have done to prevent them? The answers do not come easily, except to ascribe them as pure evil. But that does not make them any easier to come to grips with. The church shooting at Sutherland Springs left many people struggling to understand. This was reminiscent of June 17, 2015 in Charleston, South Carolina, when nine people were killed in a historically black church. A recent article by Christianity Today indicates that these are not the only deadly incidents that have occurred in faith institutions in this country. However, these recent church shootings shatter the purported safety net that many of us expect from having faith in God. So, with such a loss of life as with what happened in Sutherland Springs, it begs the question: does God really protect us? If you cannot be safe inside a church during a worship service, then where can you be safe? Why didn’t God keep his redeemed people from experiencing such a tragedy? And what could possibly be God’s purpose in all of this? Unfortunately, church shootings feed into the rhetoric of faith naysayers who use them as proof that God does not exist; or, if he exists, that he does not care much about us. Unfortunately, without quick intervention and support, some will fall away from the faith. They will believe that there is no point in worshipping God when you can be shot right in the middle of a worship service just before hearing the word of God. Any intelligent, thinking Christian will struggle with how to interpret and process these church shootings and other mass shootings. 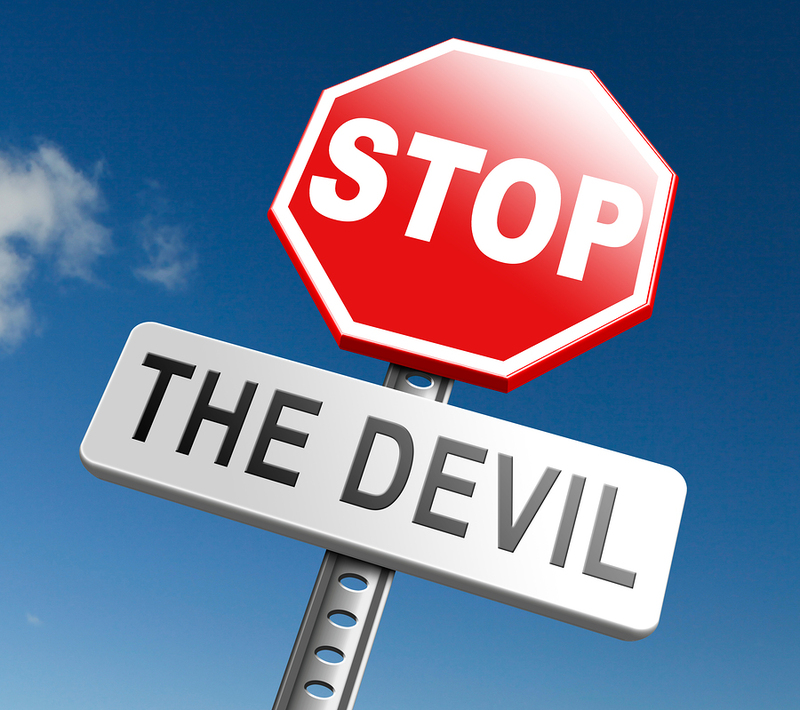 It calls for more than simplistically saying “it’s the devil” and dismissing it from our minds. We do not have the luxury of dismissing the other non-church related events as something that happens in the world outside the church. The church has been stained by these events as well. As I have thought and prayed about this, I cannot dismiss nor escape the reality. Faithful, God-fearing, innocent people have died at the hands of evil people. It has happened before Sutherland Springs and Charleston. We pray that it does not happen again. But we know that we live in a world in which the saints of God are not exempt from the same types of tragedies that can befall the rest of the world. Do we sit back passively and wait for them to come? Or do we, knowing that we are subject to church shootings, do everything we can to minimize or prevent encroaching danger? Certainly, we can better secure our churches, and even go as far as to hire armed guards to patrol our worship services. Some churches have already taken that approach. Whether or not that approach is effective or even Scriptural is a subject for another article. But I believe there is another way that the saints of God can address mass church shootings. The fact is that we live in a world replete with sin. Sin affects not only the person who commits it, but also others. Unfortunately, even innocent people are affected negatively by the sin of others. The mass shootings, whether in churches or elsewhere, are the result of the sin that has run rampant in this country. It is not more complicated than that. Gun control legislation, while important, will not solve the problem. Mental health treatment, while necessary, will not solve the problem. Having armed guards in our churches, while giving us a sense of security and safety, will not resolve the issue. Until we recognize the root of the problem, sin in the hearts of mankind, we will never gain any headway with reducing or stopping these tragedies. If the saints of God are in any way disgusted, concerned, and angry about the mass shootings that have occurred, we should be prompted to more than surface level responses that do not address the root issue of sin. We should recognize that in the hearts of men such as Devin Patrick Kelley, Stephen Paddock, Omar Mateen, Dylan Roof, and all the other perpetrators of mass murder, lies deep-rooted sin that likely remained unaddressed or inadequately addressed before they committed their crimes. Mark 7:21-22 tells us that it is from the heart that evil intentions come. And that can only be dealt with through a relationship with Jesus Christ. 1) Do we wage intercessory prayer on behalf of the saints of God and for the country at large? 2) Are we actively involved with sharing the truth of Jesus Christ to those around us who do not know Christ? 3) Are we engaging and embracing in love those around us who are hurting or suffering? 4) Are we arming ourselves with Scripture so that we have an answer for all those who inquire about our hope, or for those who seek to understand God? 5) Are we inviting God’s presence into our lives daily through praise, worship, prayer, and meditation? Are we being bathed daily by the Holy Spirit, repenting of our own sin? 6) Are we educating and informing ourselves about what happened at Sutherland Springs and at Charleston? Are we ensuring that we understand the issues that cause church shootings (whether they be mental illness, domestic violence, someone with a grudge, etc)? Do we know how to address these issues before they turn tragic? Even the above is not guaranteed to prevent evil acts from affecting us or others. Ultimately, it is up to the perpetrators to make the decision to draw near to God. But when it happens, we can take comfort in Romans 8:35 (ESV), which reads, “Who shall separate us from the love of Christ? Shall tribulation, or distress, or persecution, or famine, or nakedness, or danger, or sword?” We can stand firm knowing that whatever befalls us, God has not left us or abandoned us. He is still there, looking after us. The saints at First Baptist Church in Sutherland are smiling in the face of God, forever resting in His presence. Evil may have taken their bodies, but their souls live on eternally. In this sense, God did protect them from the evil one’s ultimate goal, which is to separate them from God. And separation from God is the evil one’s goal for us, by making a mockery of his word and to cause us to doubt God and cast Him by the wayside. My experience with God is that He is not only reactive. He is proactive and omniscient. He knows everything that can happen and has provided us with the tools and resources to counteract it. Saints of God, through the Holy Spirit, have the power to, as 1 John 5:4 asserts, “…overcome the world.” God has placed in us, His beloved saints, a mandate to make a difference in the world. We do this through prayer and action. Anyone can pass a law or start a mental health clinic. The people of God are uniquely positioned, through Christ, to address the sin problem. Sin is the foundation of mass murder, church shootings, terrorism, domestic violence, and all other ills that affect this country. The true terrorism in this country is sin, and we should use every weapon which God has given us to war against it.